DVI plug to VGA socket adaptor that can allow a DVI computer graphics card to be connected to a VGA monitor. 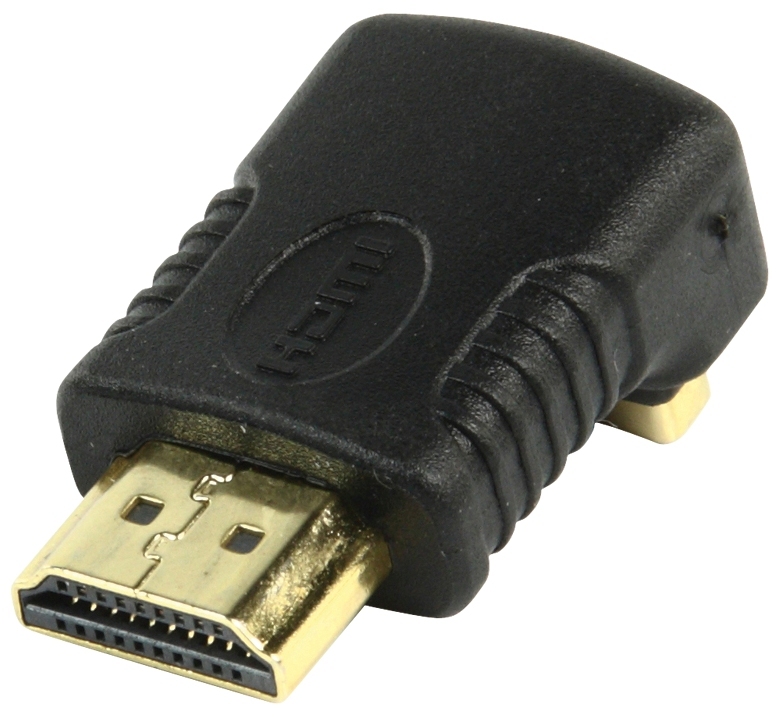 DVI plug to HDMI socket adaptor that can allow a DVI computer graphics card to be connected to a monitor. HDMI 270º coupler, suitable for connecting to a HDMI lead when an LCD/Plasma television is fitted very close to the wall. For a horizontally mounted HDMI socket the lead will connect at the bottom of the adaptor. 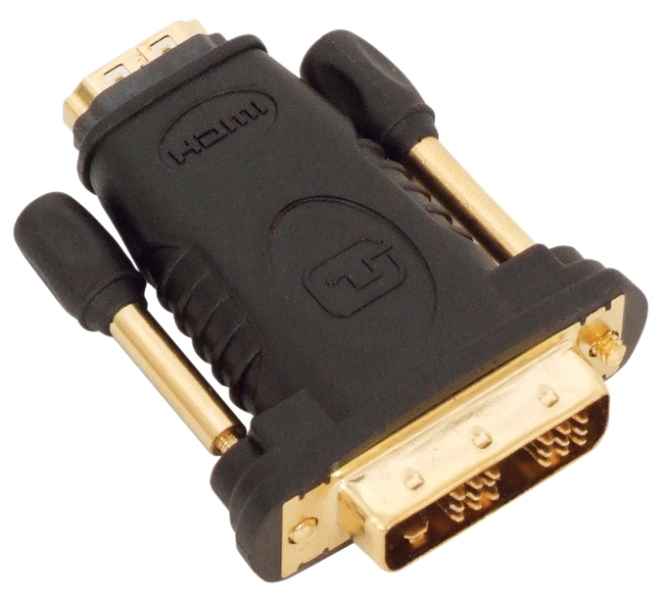 HDMI coupler for connecting two a HDMI leads together.